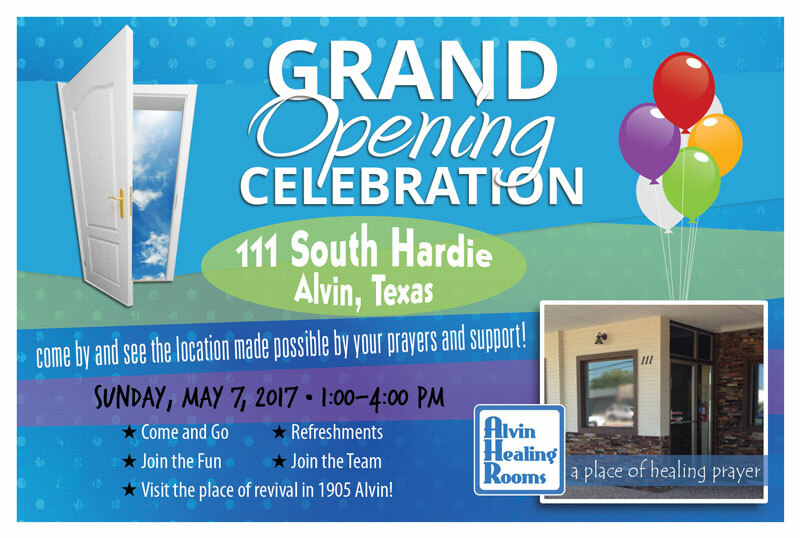 Please join us for a celebration of the opening of our first physical location, and it’s right in downtown Alvin, Texas. After 5 years serving the community through our Free Prayer Booth, the doors are now open to our storefront location, and we want to invite you to the party. Sunday, May 7 is a day to get acquainted and celebrate. We hope you’ll stop by and take a look at the new place of healing prayer in town. We would love to meet you!